Effect Medik8 C-Tetra® is a revolutionary ultra-stable vitamin C serum which helps combat sun-induced damage to the skin, trigger collagen synthesis, increase the skin’s elasticity and density as well as improve the skin’s texture and brighten the complexion. Recommended Reason Regular vitamin C is very unstable and many typical vitamin C products are inactive by the time they are used on the skin, in some cases, they have become pro-oxidant and actually generate free radicals! Ground-breaking stability data on C-Tetra guarantees real vitamin C activity and best of all, unlike L-ascorbic acid (regular vitamin C), C-Tetra will not exfoliate or irritate skin. 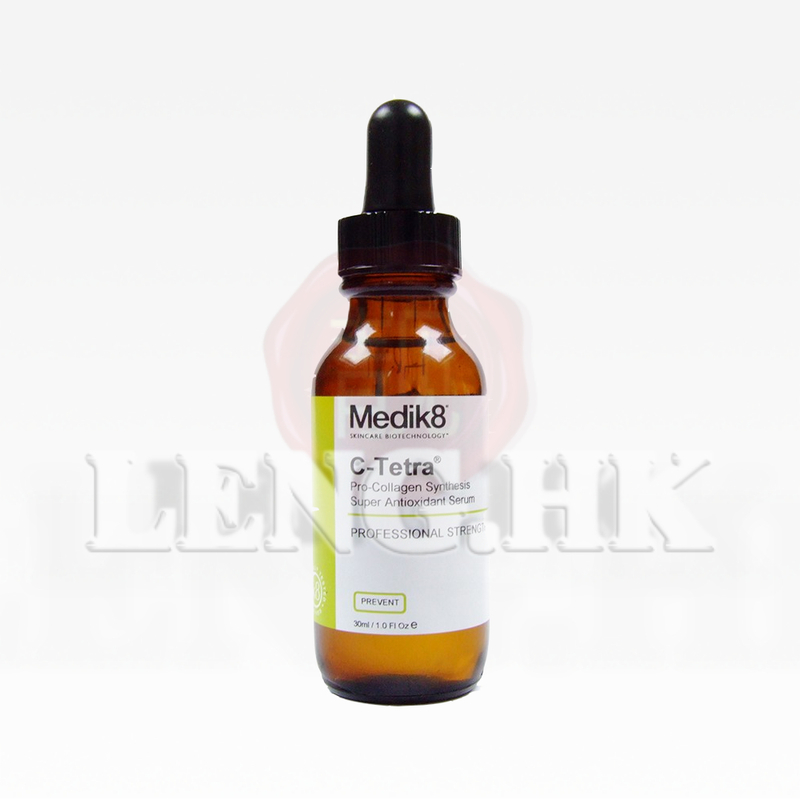 C-Tetra® contains 3% Tetrahexyldecyl Ascorbate, the most potent and highly stable derivative of vitamin C available. C-Tetra has been shown to have upto 4 times the potency L-ascorbic acid and other derivatives such as MAP (magnesium ascorbyl phosphate). Apply in the evening except the eye area. In the morning, after cleansing, apply 3-4 drops directly to the skin and blend evenly across the whole facial area, neck and décolleté. Alternatively, place a drop on your finger and massage into the skin. Leave to absorb for 2-3 minutes.